Kicking World Student Commits to Colorado University! A student at a KickingWorld.com kicking camp in Tempe, Arizona talks about his experience at the kicking camp. 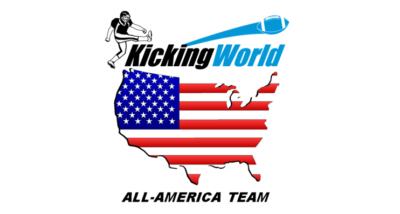 Kicking World conducts national kicking camps and private kicking lessons. Watch the high pop up onsides kick demonstration by KickingWorld.com student Jesse Sandoval at a recent kicking camp in Irvine, California.